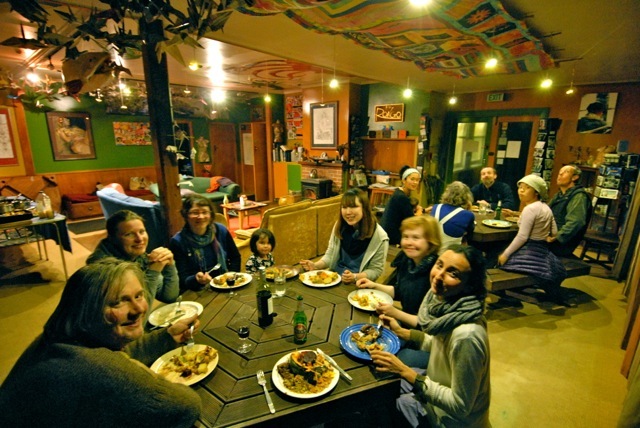 Rongo Backpackers & Gallery in Karamea at the top of the West Coast of the South Island of New Zealand has just reduced its lighting power consumption by over 85% by installing LED lighting. 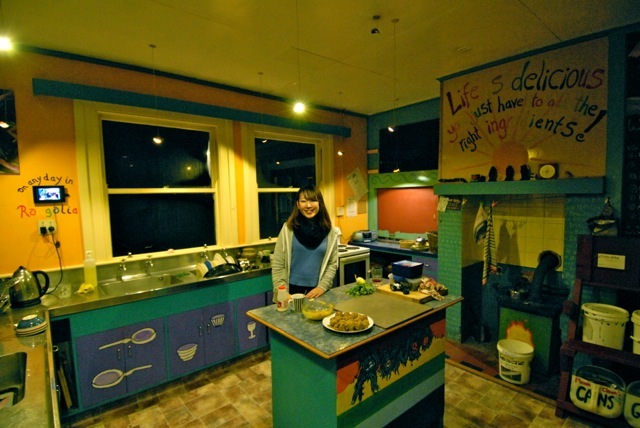 The hostel, which is in perhaps the most remote location of any accommodation facility on mainland New Zealand, is part of the LivingInPeace Project, a venture that strives for sustainability, environmental responsibility and energy efficiency. 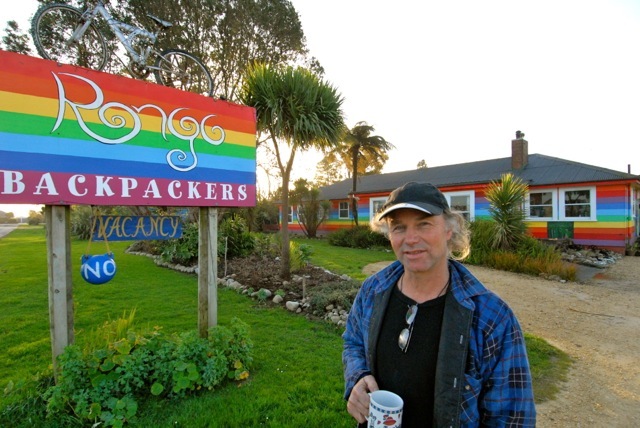 Peter Jenkins, a LED (Light Emitting Diode) lighting technician, who is also a metal and plastics engineer, a builder, artist and permaculturalist, came to Karamea to do the work and to introduce the new lighting technology to the hostel. 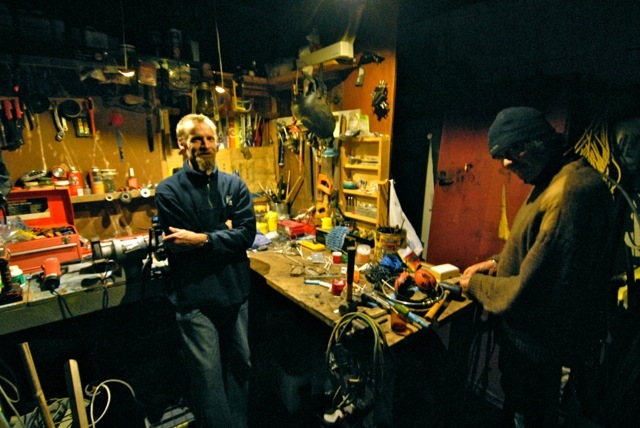 LED lighting technician Peter Jenkins at Rongo Backpackers & Gallery. 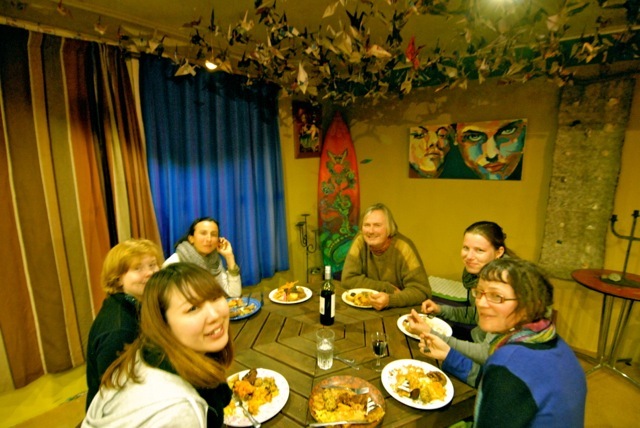 The remoteness of the hostel makes the need for energy efficiency and the effective management of resources critical to the business success of the venture as essential services like electricity are more expensive in Karamea than more populated urban regions of New Zealand. For example, power in Karamea is 5c/KWH more expensive than in Christchurch. 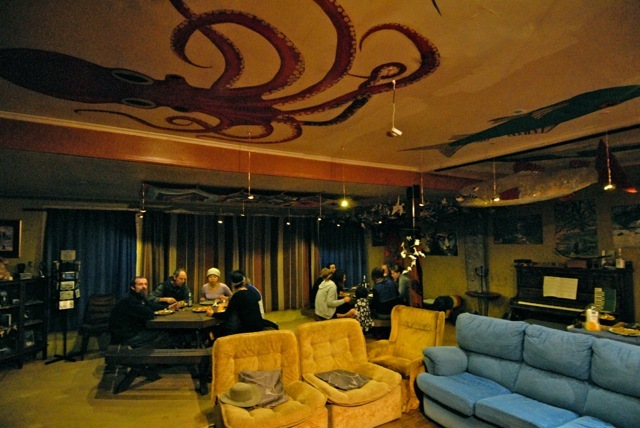 So as the owner of the hostel, I am always looking for ways to mitigate the operating cost the business and improve its efficiency. Karamea is also subjected to power surges and electrical storms that can damage lighting, electrical appliances, computer modems, phone lines etc. 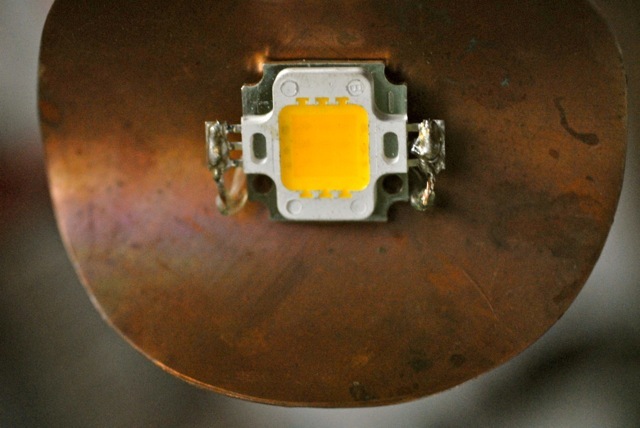 The expense of replacing light bulbs damaged by the fluctuating power supply is a significant business cost and also contributes to the production of unnecessary waste and mercury contamination associated with the disposal of spent light bulbs. When I heard about Pete’s lighting system, I was very interested and wanted to learn more about how such technology could be applied to my business to save money, reduce the amount of waste we produce and improve the overall efficiency of the venture. I estimate the cost of installing lighting at the hostel will be completely recovered in two years and the ongoing cost of lighting the building will be a mere 15% of the previous traditional lighting system. The efficiency of the low energy LED lights is enhanced by further reducing the 12 volt energy flow by adding a resister into the line. 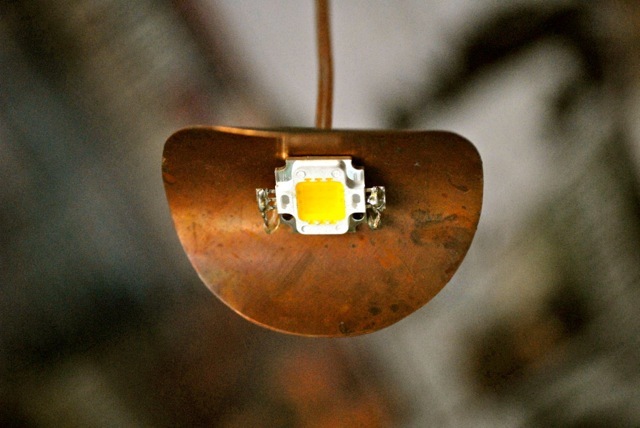 This increases the efficiency of the lighting by minimizing the power it requires and also extends the life expectancy of the LED by limiting the amount of energy running through the unit, which means the diodes will last between 100-200 years. The cost saving in not replacing light bulbs alone is significant. The system is also considerably safer than traditional 240 volt lighting. 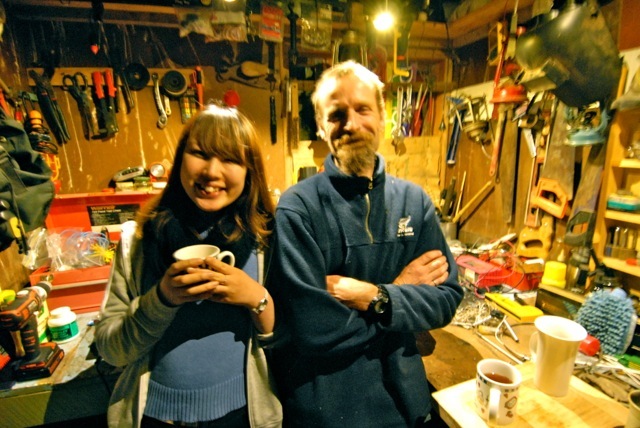 Pete’s partner Lisa makes creative lampshades from recycled copper that are then attached to the LEDs and soldered onto the wiring. 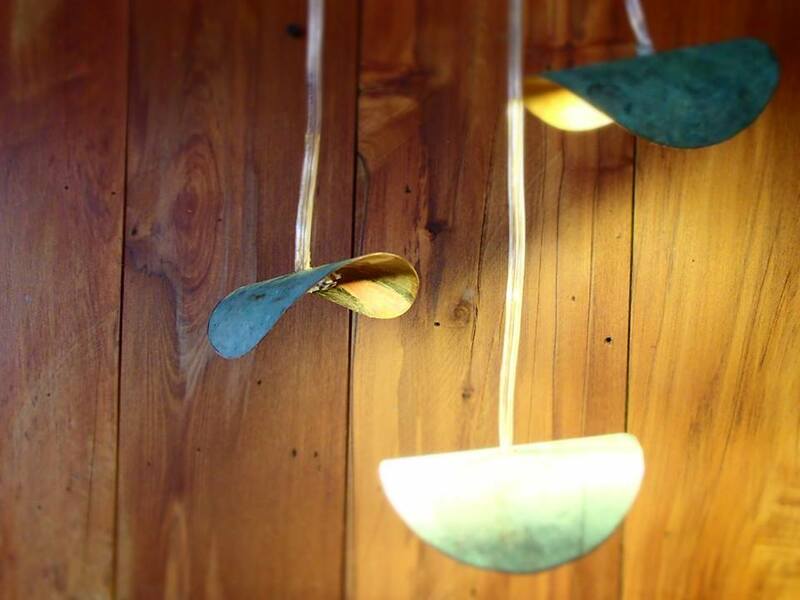 The resultant light fitting then hangs from the ceiling where it is required; above kitchen benches, communal areas, illuminating artworks…wherever light is required. This exciting new technology will revolutionize lighting, reduce energy consumption and the need for new power generation plants, reduce landfill, pollution, CO2 emissions, improve safety and provide a beautiful soft ambient lighting that is both fully functional and pleasant. It is also a short step from here to convert the building to solar power as the lighting system is 12 volt, which eliminates the need for a transformer and, because the power requirement is lower, it will also significantly reduce the cost of conversion to solar as less panels will need to be installed to power the lighting. 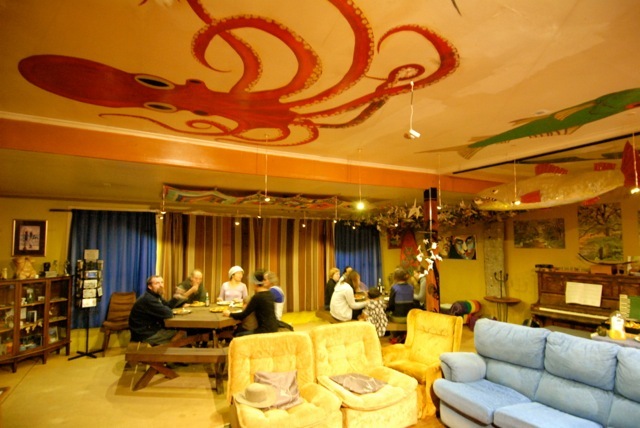 The initial plan was to add LED lighting to the living room and kitchen areas, however, the result was so pleasing that the rest of the building, including the tool shed, radio station, theatre, yoga room, courtyard and all guest and staff rooms was also converted. 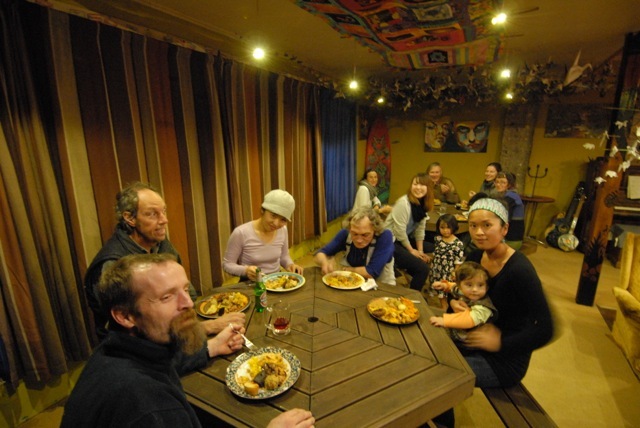 I am extremely happy with the lighting system installed at Rongo Backpackers by Pete Jenkins and happily endorse his business Forever Lights and recommend his service to people looking to improve the efficiency of their homes and businesses and are keen to save money on their power bill, reduce their carbon footprint and be more environmentally responsible. 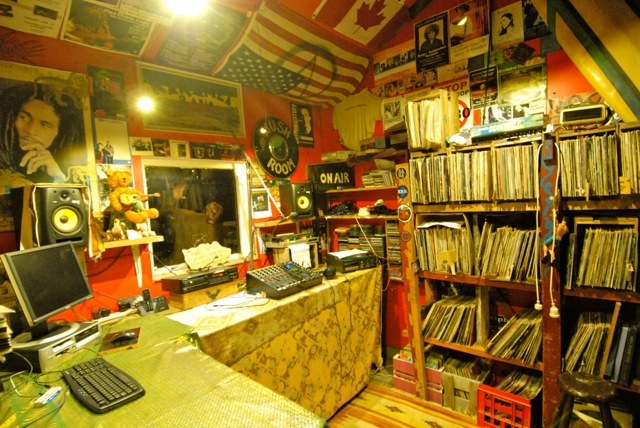 DJ Crap (Paul Murray) interviews Pete Jenkins, a LED light technician who recently refitted the lighting at Rongo Backpackers & Gallery, a hostel at the top of the West Coast of the South Island of New Zealand with energy saving LED lighting. The new lighting will reduce the energy cost of lighting the building by over 85%. 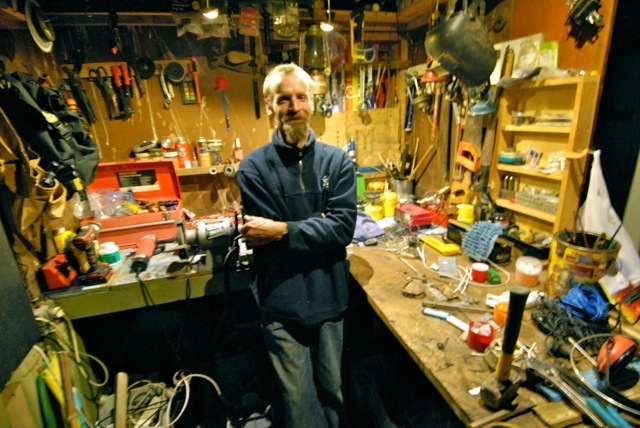 Pete talks about how he came to be involved with LED lighting, his home base in Oamaru, his Autumn Arena festival, permaculture and his life philosophy of refocussing his life away from consumerism and into a more sustainable way of living. This entry was posted in Art, Business, Efficiency, Electricity, Forever Lights, LED Lighting, LivinginPeace Project, New Zealand, Permaculture, Peter Jenkins, Power, Rongo Backpackers & Gallery, South Island, Sustainability, West Coast and tagged Art, Autumn Arena, Business, DJ Crap, Economics, education, Efficiency, Electricity, Forever Lights, Karamea Radio 107.5 FM, LED Lights, LivinginPeace Project, New Zealand, Paul Murray, Permaculture, Peter Jenkins, Power, Rongo Backpackers & Gallery, South Island, Sustainability, The Oasis, West Coast. Bookmark the permalink. 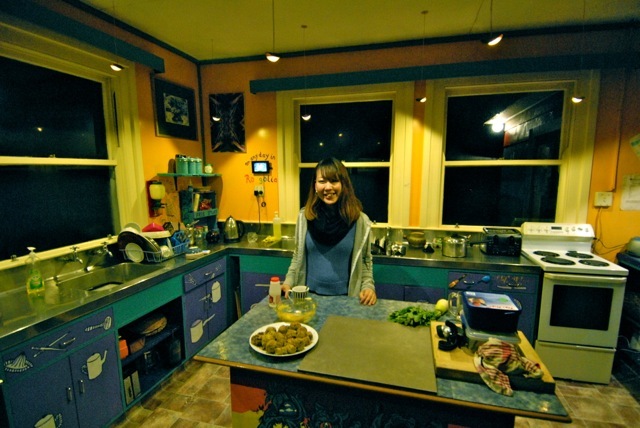 Thanks Karen…YOU are winning at life…good on you M8! Thanks a lot Karen. 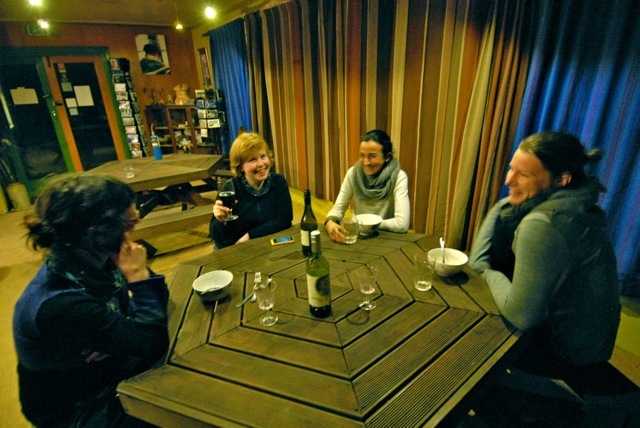 We haven’t seen you for ages, great to hear from you! Thanks for the comment and please come and see us sometime soon! 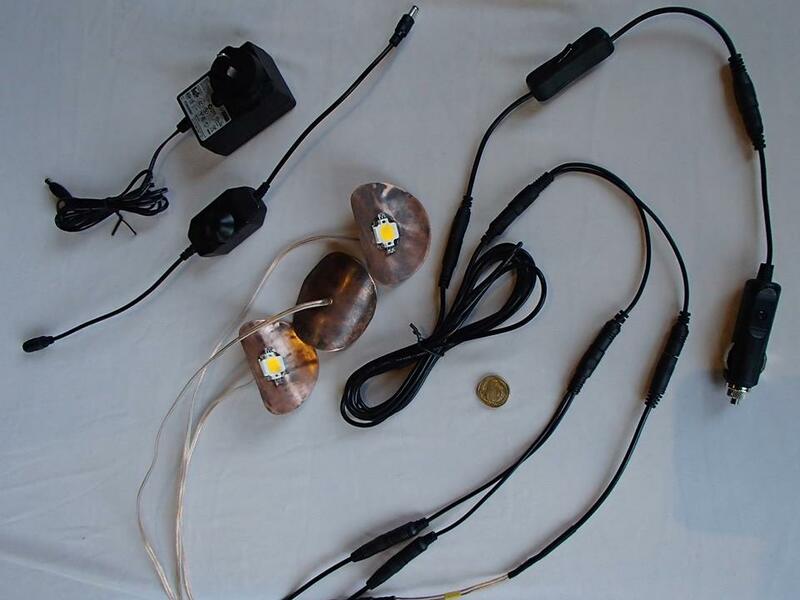 I am very impressed, you will have excellent LED lamp shades. If you do not mind, I want to do the same. 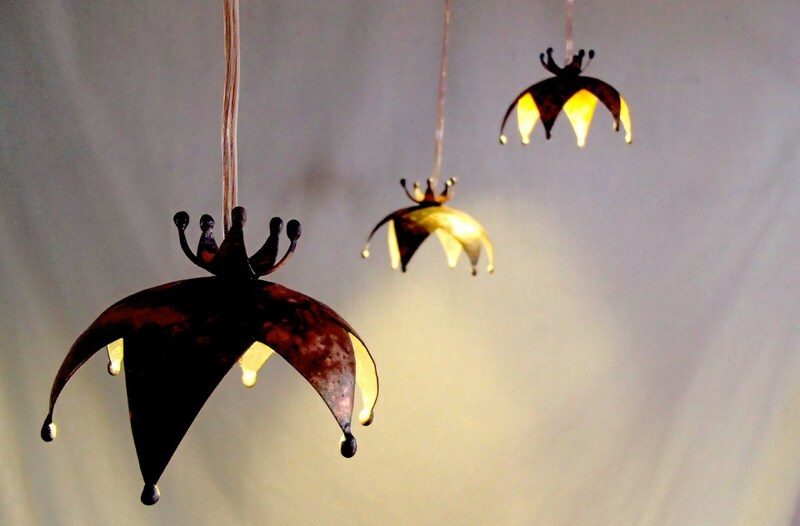 Thanks, the lampshades are simple, but effective and made from recycled material…winning!